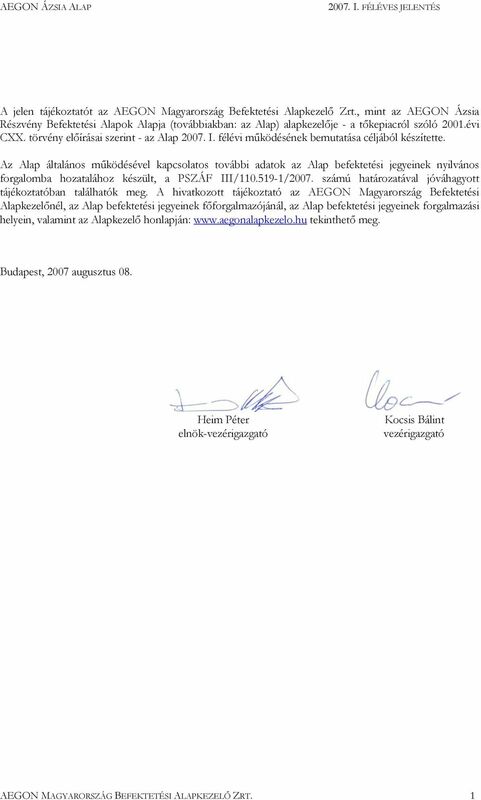 Download "AEGON ÁZSIA RÉSZVÉNY BEFEKTETÉSI ALAPOK ALAPJA 2007. 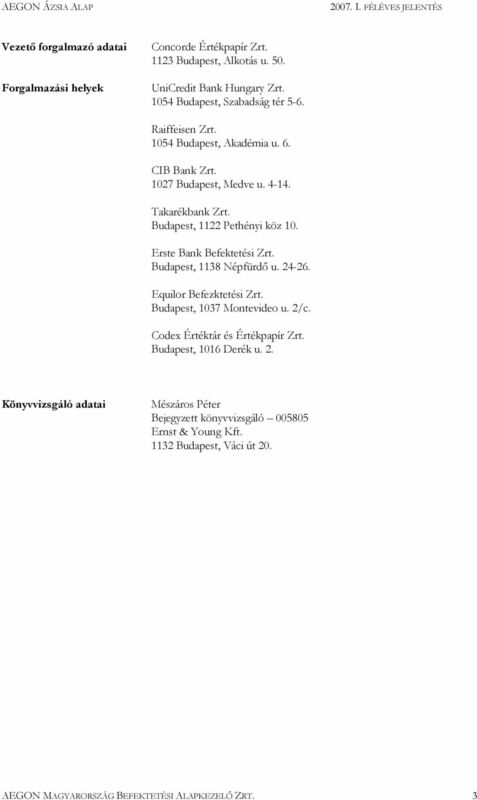 I. FÉLÉVES JELENTÉS AEGON MAGYARORSZÁG BEFEKTETÉSI ALAPKEZELŐ ZRT." 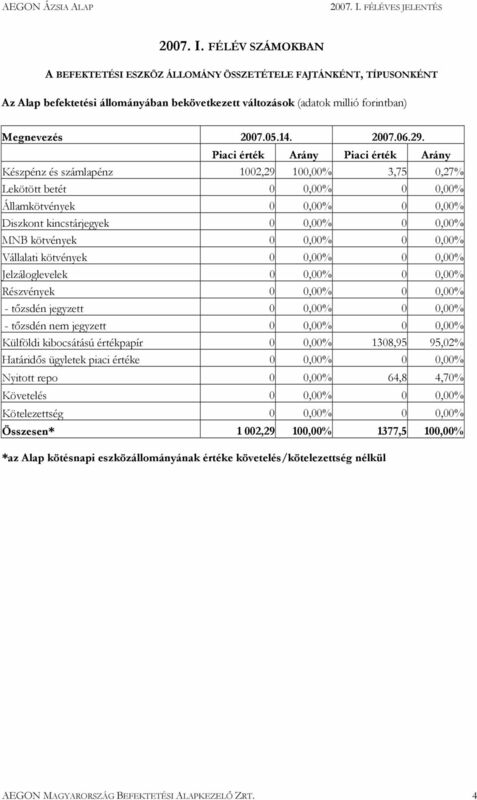 1 AEGON ÁZSIA RÉSZVÉNY BEFEKTETÉSI ALAPOK ALAPJA AEGON MAGYARORSZÁG BEFEKTETÉSI ALAPKEZELŐ ZRT.